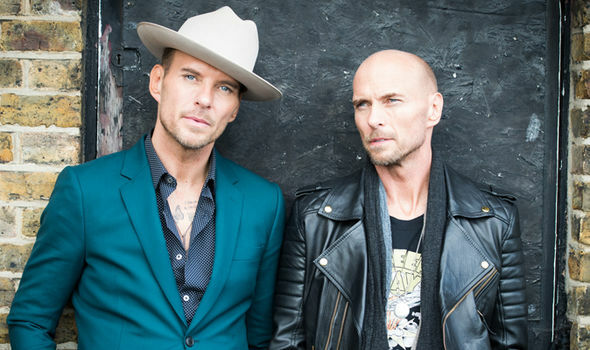 All I knew of ’80s band Bros was that drummer Luke Goss had been in Blade II and Hellboy II, and that this film was apparently the most Brentian documentary since The Armstrongs. But where David Brent: Life on the Road felt forced, there’s an authenticity here precipitated by Matt and Luke’s honesty. Constantly on the verge of tears, the boys speak as though in therapy about their fame-damaged relationship; it was resentment and ego that caused the band’s split in the early ’90s. Matt was then given a Vegas residency by the creator of The Pussycat Dolls while Luke headed to LA to be an actor, hence his ability to keep a straight face while Matt says things like: “He was a rectangle and I was a rectangle and we made a square, which therefore is a fortress.” Ron Perlman shows up to tell us that “Guillermo Del Toro adores him,” but the only other contributions come from the Goss brothers themselves – no mention is made of the band’s third member, bassist Craig Logan. The rockumentary genre is essentially a history of talented people being chewed up and spat out by the music industry, although After the Screaming Stops is more focused on family than music – which is no bad thing when you’re dealing with Bros.